Most of the people are afraid of moving. Preparing for a move can be stressful, especially if you are moving for the first time. The key for a successful and stress-free moving is to be organizing. The entire packing organization, moving and transporting can seem exhausting. Your relocation is going to be much easier for you if you start on time. When you do make this decision, you need to know what it entails. You need to have time to prepare for moving. 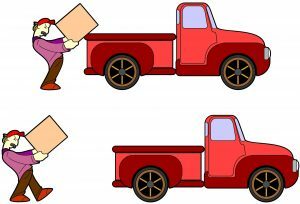 There are two types of moving, local and long distance moving. Anyway, depending on what kind of relocation are you going to make you still have got to be organizing. Moving doesn’t start with packing your things it starts way before. If you can’t move by yourself then maybe you should require proper professional help. As with every move, planning is the ultimate key to success. You might start with rooms that are usually using for storage purposes. That’s room you don’t use on a regular basis, like cellars, or loft spaces. Before packing, get rid of everything that is the unused or unnecessary item in your home. Because they will take space, you can either sell, donate or even leave them in your old house. Someone can find those stuff to be useful, especially clothes. For the stuff that you would like to keep but you don’t have enough space for them, there is a simple solution. You can rent a storage unit. Separate your items into categories. In this way, you will know what is where. By doing it like this, you will know what is inside the boxes when you need to unpack your items. For example, you should put dishes in one category, all of the clothes in the same category, shoes in one category also. Make your stuff safe by using the packing materials. The first step is to gather all packing supplies and moving boxes of different sizes. Also consider purchasing: padding supplies, bubble wraps, newspapers, scissors, packaging tapes and marking pens. Packing supplies: boxes, scissors, duck tape. Your presence is highly desirable during the packing organization and the pickup of your belongings. If pack, pick up and delivering is handled by moving company, it’s only logical that you’re there for the whole process, since your input is crucial. If you don’t have time to do it, you should find someone who will replace you. When the movers provide you with the inventory of all the items, look over it thoroughly and make sure that it is correct and legible before confirming it. Instead of hiring a moving company, you can ask your friends and family for help. Ally with some friends or family or neighbors, offer them a drink and hand them a box. Most people are glad to help out, plus it gives them all a little extra time to spend with you before you leave. The advanced plan includes someone who can help to pick up and move a specific piece of furniture or a box. It’s a bit of a hassle, but prove to be convenient. The best way to know how to organize your move and deduct your moving expenses is to know your budget. Money is one of the most important factors when it comes to relocating. You have to make sure not overspend and still, do every task before the moving day. All of the moving expenses are including your relocation expenses and packing materials. Calculate your budget before the moving day. You can use quality moving assistance if you well know your budget. Often happens that, whatever you have something in mind it usually costs more than you have planned. Your budget can be affected by many mishaps, so you have to be careful about it. If you have the time, it’s a great way to determine how much stuff you’ll be moving and what the possible cost might be. Sometimes if you know how much you’ll have to spend, you’ll find it easier to leave some things behind. Now that you are ready for moving don’t forget to check everything once more time. Even if you have finished with packing, check it out again. Go throw your list as many times as you have to. And if you are not sure about stuff that you packed, open the boxes to see what’s in it. You need to be sure about everything before your moving company arrives. Don’t forget to track your home inventory. Take copies of important documents, take pics and make a record of belongings. Keep in mind that, you can’t check everything out on your moving day. You will have to do that a few days earlier. By doing that, you will have enough time to check everything out and be sure that all of your items are packed. When you have finished the checking, you will be ready for the moving. Just keep the handy list next to your side and with a bright marker, tick off the items as you complete them. There are some critical tasks that you need to do in the next few weeks before your moving. That’s include, hiring movers or if you’re moving, renting a moving truck. Even though you may be feeling like it will never be finished, but yes, it will be. Make sure that you to stick to the plan, and everything will be alright. All you need to do is take a breath, stop looking at the big picture and start concentrating on the small steps. Tasks include contacting service providers and having them transfer utilities to your new address. 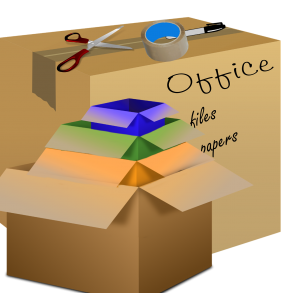 How to deduct your moving expenses?